My first ever strip for the weekly comic 2000AD will be on the newsagent’s shelves tomorrow (1st December). 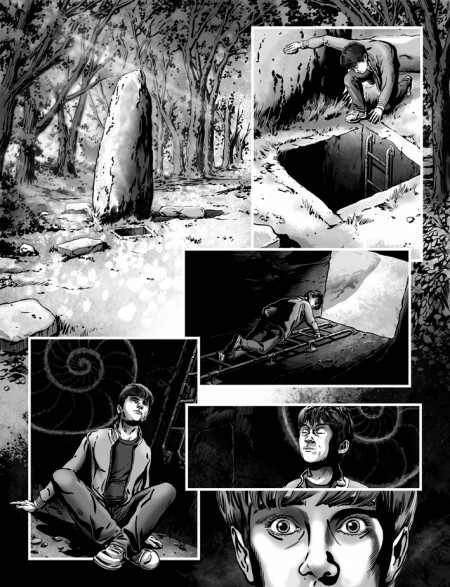 I’ve illustrated a four page Terror Tale called ‘Menhir’ written by Arthur Wyatt. Obviously I’m highly excited to be in a comic I’ve read for the last 25 years so I hope, if you don’t already read 2000AD every week (if you don’t you’ve been missing out), you’ll pick up an issue this week.